The Hammer Museum has recently acquired a major work by John Outterbridge. Case in Point (c. 1970) is featured in the Hammer’s exhibition Now Dig This! Art & Black Los Angeles, 1960-1980. 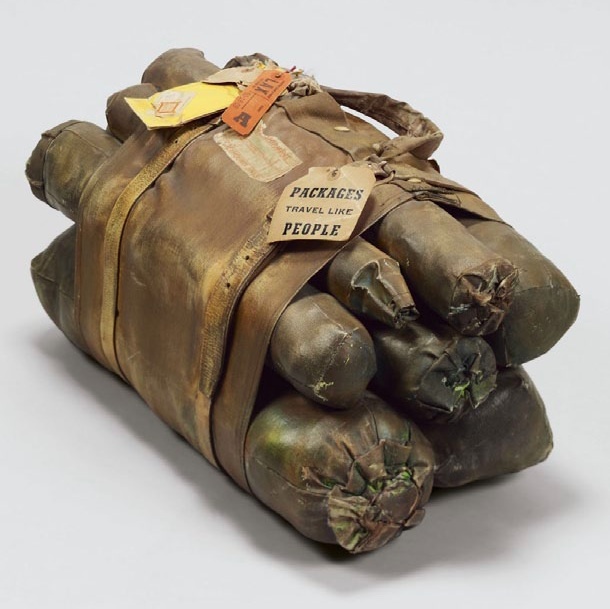 Assembled from leather and other materials and closely resembling a bag of grenades, this work communicates intense feelings about Outterbridge’s experience of being ushered to the back of a bus in 1955 despite his being in full army uniform. With Case in Point, Outterbridge confronts the all-too-common reality of racism that African Americans experienced at home after serving the country abroad in the Korean War. Now Dig This! Art & Black Los Angeles, 1960-1980 is currently ON VIEW at MoMA PS1, New York, New York and will travel to Williams College Museum of Art, Williamstown Massachusetts (July 20 - December 1, 2013).